Bath Time Tub Tea ~ 4 oz. for $8.50. 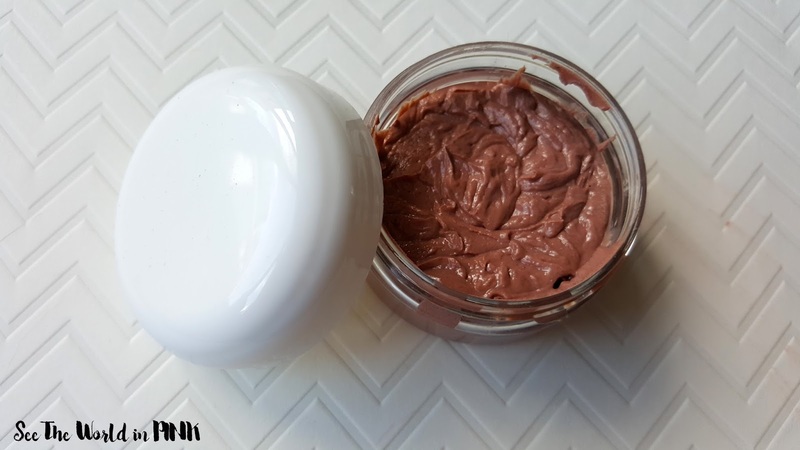 A delightful mix of skin softening ingredients such as goat's milk, baking soda and Epsom salts, combined with rose and calendula petals and topped off with skin loving cocoa butter. Drop into the bath and let the natural scent take you away. Give it a few squeezes to release all off the nutrients. This set of tub tea come with 4 tea bags packed full of goodies - these smell really good. Like a really soothing, relaxing scent! This is nice for those days that you don't want bubbles or colourful bombs everywhere - just a soothing, relaxing bath! I can't wait to try these! Honey & Oats Nourishing Soap ~ $7.50. Just in time to sooth that summer skin - this fun and functional soap features 10% real honey and colloidal oats for the ultimate summer scrub. Use the scrubby side to gently scrub away the sand, and the smooth side to gently repair and renew. Since I have started receiving Bath Time Box, their soaps have become my ultimate favorite - I actually won't purchase soap from anywhere else! They are natural and always smell good. I have tried a Honey & Oats Lotion from Bath Time Box before and it was amazing so I imagine this soap will be too! I love that is has an exfoliating and a gentle side to it! Mango Papaya Bath Bomb ~ $5.00. Our super-duper bath bomb with the scrumptious scent of mango and papaya, topped off with calendula petals. Perfect to destress after a long day. This bath bomb smells soooo good! I actually can't wait to use this! 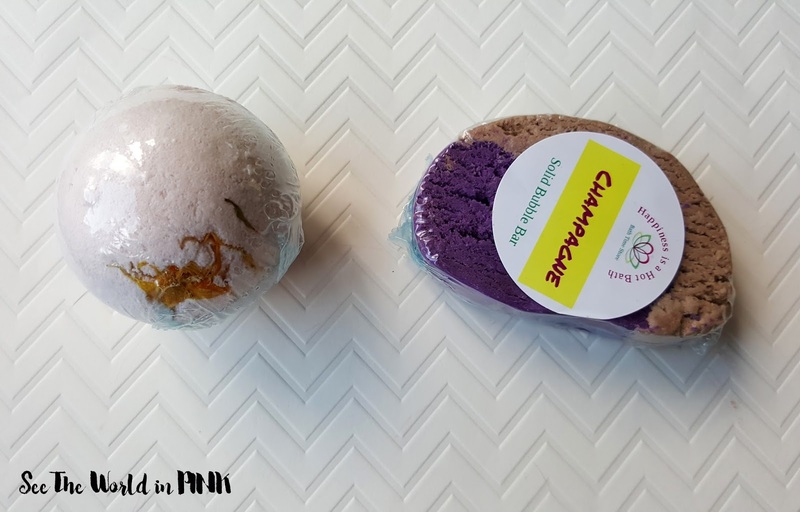 I love Bath Time Box bath bombs - they actually last a really long time in the bath, slowly fizzilling away, so this scent will last for a long time! Champagne Solid Bubble Bar ~ $8.50. Break off a small piece and crumble under warm running water for a bath tub full of delicious champagne scented bubbles. Mmmm... this also smells really good! I love bubble bars - this one is quite big and will last a few baths which is awesome! May treat myself to a glass of champagne with these baths! Love this! As most of you know by now, I looooove masks - all masks, every kind of masks, just give me all the masks! Also, Bath Time Box skincare products have blown me away - both their toner and moisturizer are holy grail products of mine now. I cannot wait to try this! I will be reviewing it soon for a full post! Bath Time Box came with 5 items and a total value of $39. This is a good value and is consistent with the value of all the past boxes I have seen! 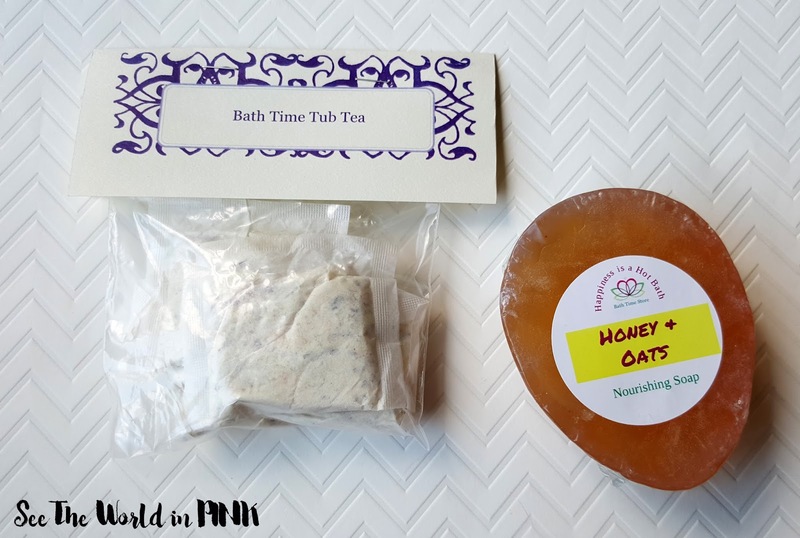 I also love that all of the products included are handmade by Bath Time Box! 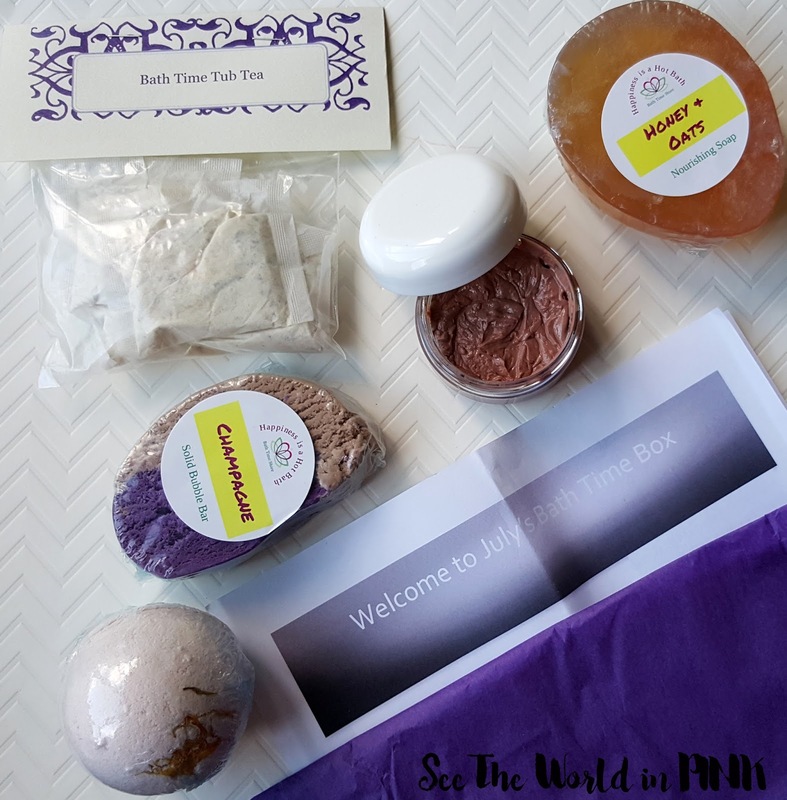 Bath Time Box always impresses me with their monthly boxes! The box has a great variety of products in each box, as well as month to month in their boxes! They are have new and original products to try - I love that they are always coming up with something new for their subscribers! 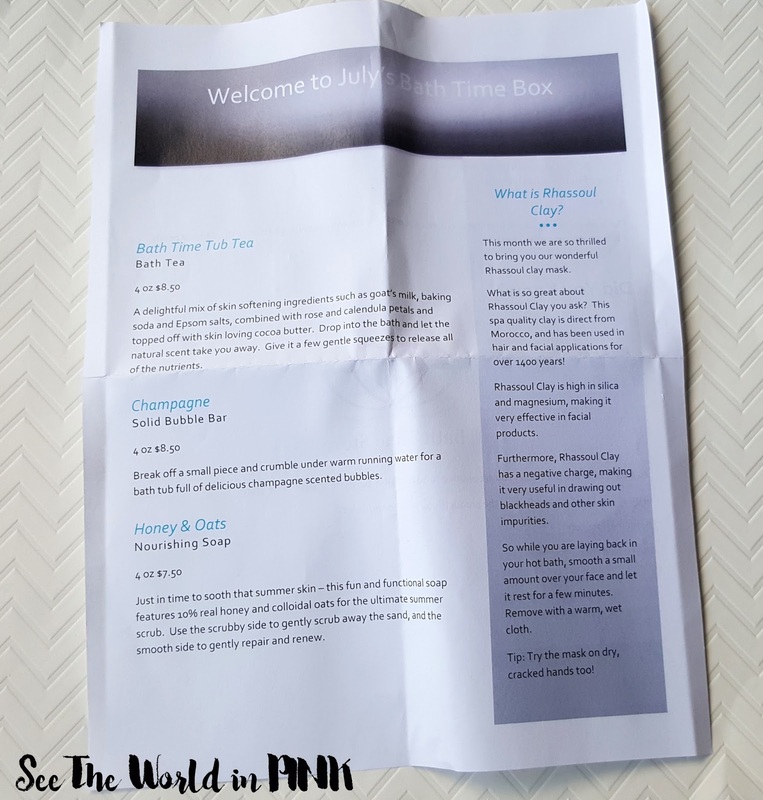 Have you tried Bath Time Box yet? What do you think of the products in the July box?